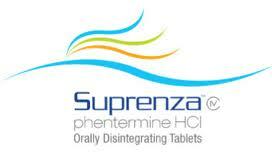 Suprenza is one among the group of weight loss prescription drugs that use phentermine as a major ingredient. Any drug with phentermine is used to suppress appetite. Phentermine works on the hypothalamus in the brain and triggers the adrenal glands to produce norepinephrine, which is known to lower one’s hunger pangs. It is norepinephrine which is also known as the trigger behind production of epinephrine and adrenaline. These secretions help in breaking down the fat stored in the body. Suprenza disintegrates slowly when placed on one’s tongue; it is a drug that can be swallowed even without water. What’s more, it comes in a peppermint flavor. The drug can be taken at any time before, after or even during a meal. The only time you should avoid taking it is at night because you may experience sleeplessness after taking it. You have signs of allergies to any ingredient of Suprenza or have had allergies in the past to drugs of the same group. You have hypertension, constriction of blood vessels, glaucoma or thyroid-related disorders. You have suffered from cardiac problems, stroke, high BP or palpitation. You have abused drugs at any point in time. You have taken monoamine oxidase inhibitor (MAOI) in the past fifteen days. You are pregnant, planning a pregnancy or are breastfeeding. Keep the doctor informed of all aspects of your medical history and tell him/her if you have taken any sort of medication, even over-the-counter ones. This is vital because Suprenza may react with some of them and cause adverse reactions. Suprenza is a drug that is approved for use over the short-term and should not be used beyond a stipulated time-frame. The drug should be used in combination with a good diet and exercise regimen; you may also need to make a lot of changes in your lifestyle. Following right sleeping and food habits is very important over the long-term, and you could use the drug only as part of an overall program to lose weight. 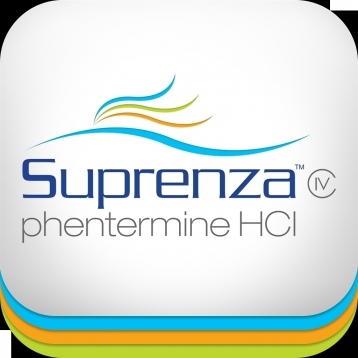 As with any other drug in the phentermine-group, Suprenza may bring some side-effects. The drug could cause dizziness, depression, nausea, vomiting, and breathing problems among others. You could have headaches, experience trembling of the limbs, numbness and weakness. Check with your doctor without further delay if you notice these symptoms. Suprenza is the trade name for phentermine, which is a contraction of the term “phenyl tertiary butylamine.” Phentermine is essentially a psychostimulant medicine which falls under the classes of substituted amphetamine chemicals. Its pharmacology is very similar to that of amphetamines. Medically, it is used to suppress appetites in people. Phentermine is available under various brand names and also as supplements through drinks, capsules, and tablets. 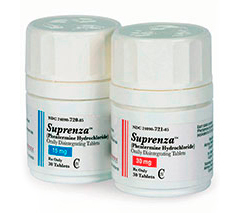 Suprenza is one of these brand names and is sold by Citius Pharmaceuticals. It is the generic name for phentermine hydrochloride and is sold as orally disintegrating tablets. Phentermine has been in approved by the US Food and Drug Administration. It is being studied by specialists along with a combination of different medications to combat obesity. The first combination that was approved by the FDA for sale was p hentermine/topiramate, an appetite suppressant. The Australian drug administration has also approved phentermine to be sold as appetite suppressants. It is prescribed medically as diet medication, particularly intended for people suffering from obesity as well as patients who face health risks due to their heavy weight. These drug administrations have approved for the production and sale of phentermine as a prescription that helps people lose weight. It has been designed for short-term consumption that is meant to be used with a combination of a healthy diet and exercise. What are the uses of phentermine? Phentermine, or Suprenza, is used by patients along with physician-approved low-calorie diets, exercises, and behavior changes that can result in them ultimately losing weight. It is typically prescribed to people who are overweight, obese, or suffer from medical problems caused by heavy weight. It is not really clear how this drug helps people lose weight, but it mostly functions by decreasing appetites, increasing the amounts of energy consumed by the body, or by stimulating certain parts of the person’s brain. Losing weight and maintaining a healthy body can decrease the chances of developing health risks that are associated with obesity, which include diabetes, heart disease, high blood pressure, and a decreased lifespan. Suprenza or phentermine is to be taken as prescribed by the physician. It is usually taken once a day, at least one hour prior to breakfast or one or two hours after the meal. In certain cases, doctors can adjust doses so smaller doses can be taken thrice a day before or after each meal. It is important that the doctor’s instructions are carefully followed. Suprenza is available in three dosage strengths. It is reported to be the only phentermine compound that meets all FDA clinical guidelines. It also has a unique orally disintegrating formulation that can be consumed with or without having to eat food. If the patient is taking orally disintegrating tablets, which dissolve in the mouth, they are normally prescribed only one dose for the mornings. The drug can be taken with or without food. The dose should be placed on top of the tongue where it will dissolve. It should then be swallowed. Doctors will decide a patient’s dosage of Suprenza depending on their medical conditions as well as how well they respond to therapy. 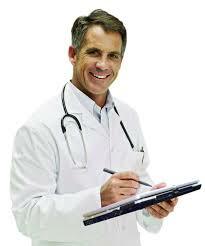 Doctors can also adjust doses to identify the best dose for particular patients. The most benefit from this medicine can be derived from regular use and by following directions given by the doctor. Suprenza is meant to be a short-term medication. It is usually taken only for a few weeks. It is important that it is not consumed with other appetite suppressants. This could cause serious side effects. Prolonged use of phentermine can also lead to certain side effects. In some cases, Suprenza and other phentermine drugs can cause reactions of withdrawal. This is mostly seen in people who have been using the drug in high doses or for prolonged periods of time. In these cases, withdrawal symptoms like fatigue or depression can occur, especially if the medication is abruptly stopped. Doctors normally reduce dosages gradually so that the patient doesn’t experience withdrawal reactions. In some rare cases, abnormal drug-seeking behavior is also seen. Patients are advised against increasing their dose, taking the drug more frequently, or prolonged use of the medication. It is important to properly stop taking the medication as directed by the physician. In other cases, patients can develop a tolerance and the drug may stop working after a few weeks. If the medication stops showing results, patients are advised to contact their doctors. They are advised against increasing the dose on their own. Phentermine is also available as sustained-release capsules. These capsules are typically consumed once a day, usually before breakfast. It can also be taken at least 10 to 14 hours before the patient goes to bed. The medication is meant to be swallowed whole and not crushed or chewed. Since they are sustained-release capsules, crushing or chewing it can cause all of the drug to be released at once, which increases the chances of side effects. In what cases should Suprenza be avoided? History of heart disease such as stroke, coronary artery disease, uncontrolled hypertension, congestive heart failure, arrhythmias, etc. What precautions should be followed while taking Suprenza? Suprenza is a short-term therapy for weight loss. It has not been revealed if the drug will be effective if it is consumed with other drugs for weight loss including other prescribed drugs, over-the-counter medication, herbal products, or other serotonergic agents. Therefore, it is not recommended to administer Suprenza with other drug products. Weight loss medications can be quite dangerous for people with heart diseases. It has been reported that otherwise healthy people developed serious regurgitant cardiac valvular disease when they consume Suprenza with other medication for weight loss. Besides cardiac disease, some patients who took Suprenza along with a combination of other weight loss medication have been known to develop primary pulmonary hypertension, a fatal disease that affects the lungs. Some people have been known to develop a tolerance for Suprenza and other phentermine drugs after a few weeks. In these cases, it is not recommended to increase the dose, but rather best to discontinue it. Since Suprenza is pharmacologically similar to amphetamines and other stimulant drugs, people have been known to abuse the drug and sometimes develop dependence. People suffering from any form of hypertension should exercise caution while taking Suprenza. It is known to cause risks of increased blood pressure. People who suffer from diabetes mellitus may have to reduce their intake of oral hypoglycemic medications or insulin. Consuming Suprenza with alcohol can cause serious drug reactions. Patients who are over-weight or suffer from obesity are prescribed Suprenza to help reduce their weight and decrease medical risks caused by their increased body weight. Before a person can consume Suprenza, it is important that they have a thorough discussion with their physician about the dosage, results, side effects, and possible adverse effects of the medication.